While price is often the determining factor, particularly if you’re upsizing your home, it still makes sense to narrow the search to include only the areas that have all the things that you and your family want and need. There’s no point in buying a huge home 40km out of the city if you’re left with none of your family’s ‘must-haves’. So what should you be looking for? Here are the big five. Surrounding yourself with good amenity is key, and easy access to public transport is at the top of that list. Being in close proximity to trains, trams and buses will put the CBD, employment and other conveniences at your fingertips, and will provide a level of independence to children and young adults as they grow up. If you’re having a family, you’re going to need schools, and securing an address within a good school zone can be critical. Homes within certain well-regarded government secondary school zones are highly coveted, and that can lead to higher prices. You see big growth because, particularly if you’re buying in a particular school zone, everyone wants their children to have a good education, and people line up for it. There are people that won’t buy a house if it’s wrong side of the street, because it’s not in the right school zone. It just creates far more competition, they’re usually quite tightly held, and it does definitely have a big impact on value over time, because it’s something that can’t be replicated. 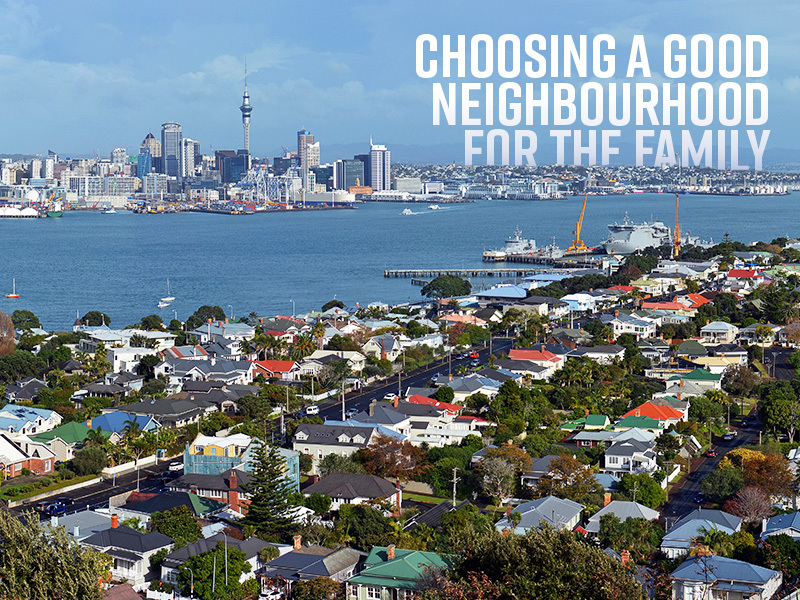 While it’s important to carefully select the area you want to live in, it’s just as important to choose one that’s easy to get out of. Being close enough to freeways to make trips further afield easy should be a given for most families. Trying to get out of the city, it’s always a bit of a gridlock, but if you’ve got good freeway access, you can be out in five minutes. A lot of people work on the other side of town, and having good access by road is really important. Supermarkets, local shops, cafes, restaurants and specialty stores should all be on the shopping list for families. It shouldn’t be a hassle to grab a weekend coffee, and it shouldn’t be a long drive just to find the local supermarket. If you can, buy around a good neighbourhood with a quiet village with cafes and restaurants. If you go a bit further out to areas that aren’t as established, try to buy near where the main hub is, or is going to be. We all hope that we never need them, but you’ll be thanking your lucky stars you bought near a hospital, when the need arises. And it’s a selling point that continues to resonate with buyers.